This week on “Inside the Vatican,” Gerard O’Connell and I take a look at the joint appeal signed by Pope Francis and King Mohammed VI of Morocco to keep the city of Jerusalem and its holy sites open to people of all faiths. 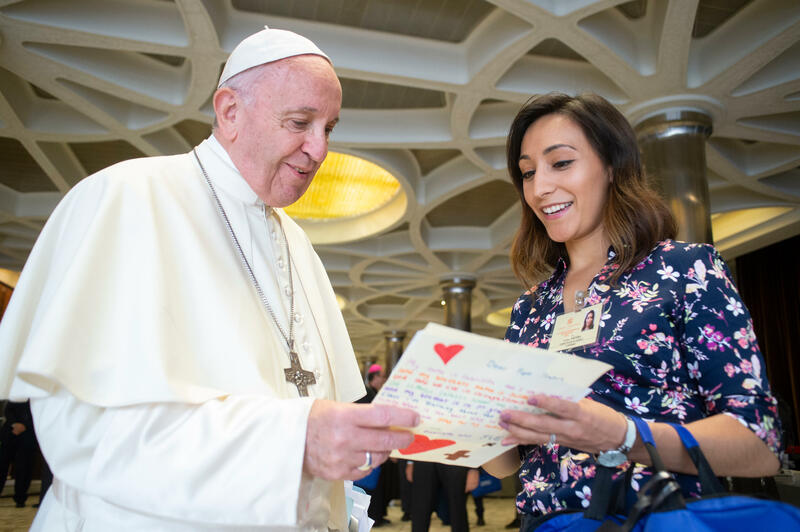 Then, we unpack some of our main takeaways from Pope Francis’ new apostolic exhortation on young people, “Christus Vivit.” We’ll also look at some criticism of the letter and discuss the importance of looking at the entirety of documents like this one, rather than skipping over the spiritual insights and focusing solely on controversial issues. And you can see Gerry get a birthday cake from the pope here! I will ask this author or anyone who wants to respond. Why be a Catholic? What is special about the Church? With the implication that if you cannot answer it, then why should the youth remain in the Church? Good article. I liked the writing style very much. I admire Pope Francis. He's a very kind human being. flats for sale in kochi He's so right to be in that position. He's an inspiration for every human being. His influence on young people is unbelievable. Colleen Dulle is assistant producer of audio and video at America.